Live trio performance. Featuring Yasushi Gonjo on bass and Larry Marshall on drums. The title track “Kurama Suite” is a 14-minute original composition inspired by a mystical mountain North of Kyoto. 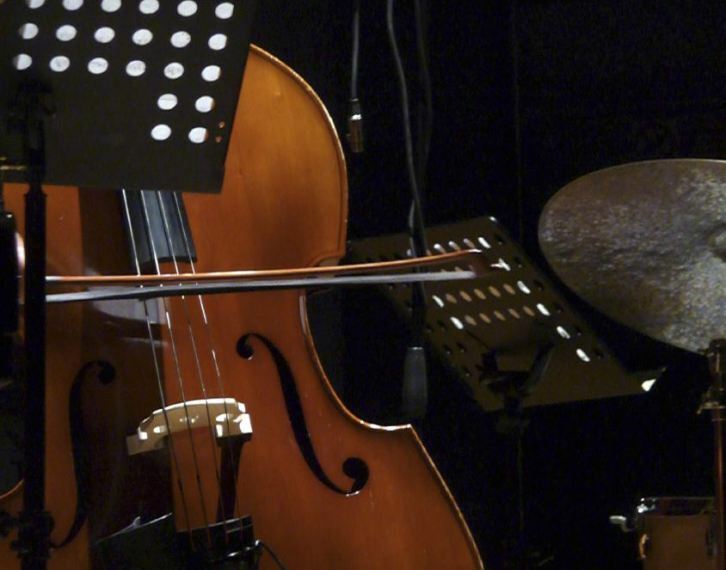 The live performance was entirely recorded as an acoustic trio. During post-production, Francesco added new synthesizer arrangements to the existing tracks resulting in a full orchestral sound. 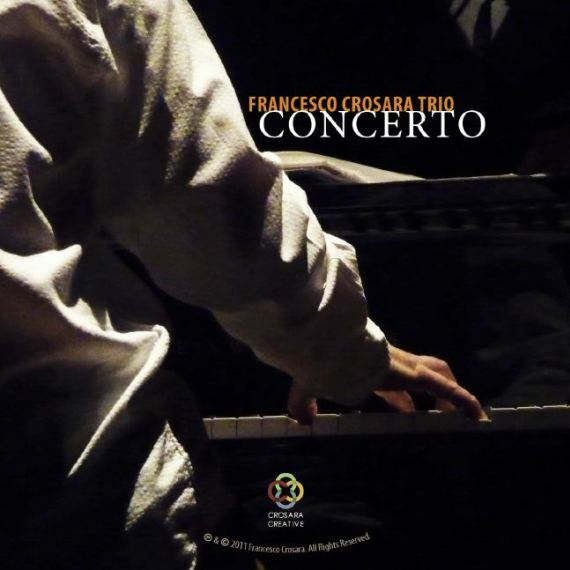 Francesco Crosara has been a world traveler in both his life and his music. He is a strikingly original pianist who displays his own inventive style while reviving standards and debuting new suites. On Kurama, he is heard at his best throughout an intriguing program, improvising with a trio and adding colorful synth parts to create three of his most memorable performances. 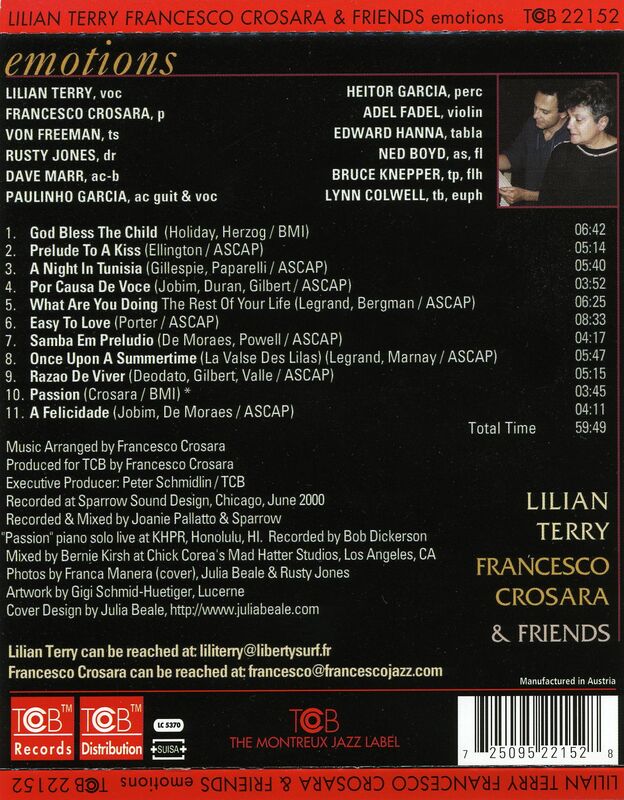 Born in Italy and the son of the famous jazz singer Lilian Terry, Francesco started on the piano when he was four. A few years of study at a conservatory convinced him that he was more interested in improvising than in recreating classical works He performed locally in Italy until he was 21, when he moved to the United States to attend USC. After graduating, he moved to Hawaii where he worked with alto great Gabe Baltazar. 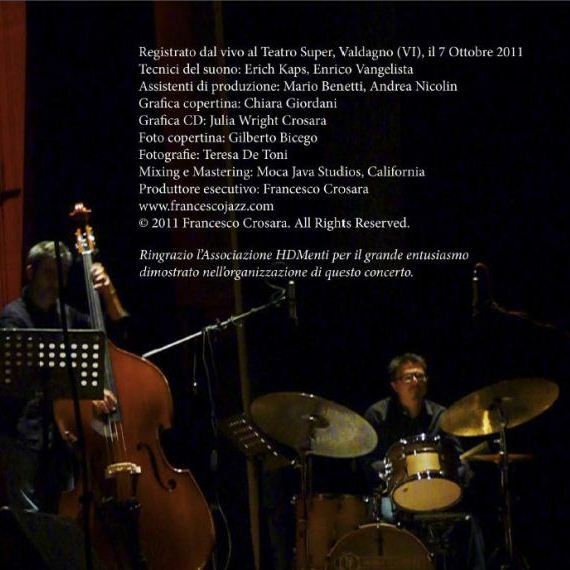 During a period spent living in Chicago, Francesco played regularly with veteran tenor-saxophonist Von Freeman. Although he has since settled in Los Angeles, many of Francesco’s performances have taken place overseas in Europe. Kurama documents his debut in Japan. The first half of this program begins with a tender unaccompanied chorus by Francesco on “How Deep Is The Ocean” before the trio digs in and cooks the standard. The next three selections form a tribute to Miles Davis. It can be a challenge to find something fresh to say on songs that have been performed a countless number of times. In the case of “All Blues,” which is normally taken at a medium-tempo, the trio interpreted it at a much faster pace than is usually heard, giving it fresh life. The piano and bass solos sound effortless and there is also a brief tradeoff with Marshall’s drums. “My Funny Valentine” is essentially a tasteful statement of the melody although the closing vamp is a surprise. “Solar” is given an unusual treatment, with the melody and rhythm deconstructed and broken up before the trio creates a fiery and hard-swinging version. Herbie Hancock’s always-hypnotic “Maiden Voyage” is a feature for bassist Yasushi Gonjo who plays the introduction and takes an impressive solo. Thelonious Monk’s “Well You Needn’t” has drummer Larry Marshall in the spotlight, taking two solos, driving the ensembles, and inspiring the other players. The second half of the program has Francesco taking three trio performances from the Osaka concert and reworking them a bit in the studios, enhancing their power without changing their essence. “Chant For Peace” was composed by the pianist shortly after September 11. Both an anti-war and a pro-peace number, “Chant For Peace” is quite bluesy and spiritual with Francesco adding the sound of a Hammond B3 organ and a synthesized choir to the trio. Herbie Hancock’s “Cantaloupe Island” is given a concise and funky treatment, using a double time feel with synthesizers that really grooves. The 14-minute three-movement “Kurama Suite” is the third extended work that Francesco has written thus far. “I was drawn to the legend of the Kurama mountain in Japan. 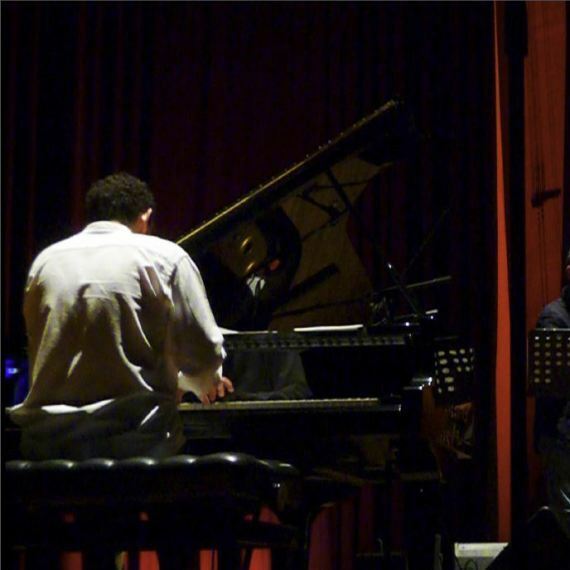 I wanted the suite to have an Asian influence, a mystical feel and a modal construction.” After the trio stretched out on the thoughtful piece in concert, Francesco rearranged the tune based on the improvisation, the exact opposite of how it is usually done. The results, which utilize an orchestra arrangement, are haunting and memorable. 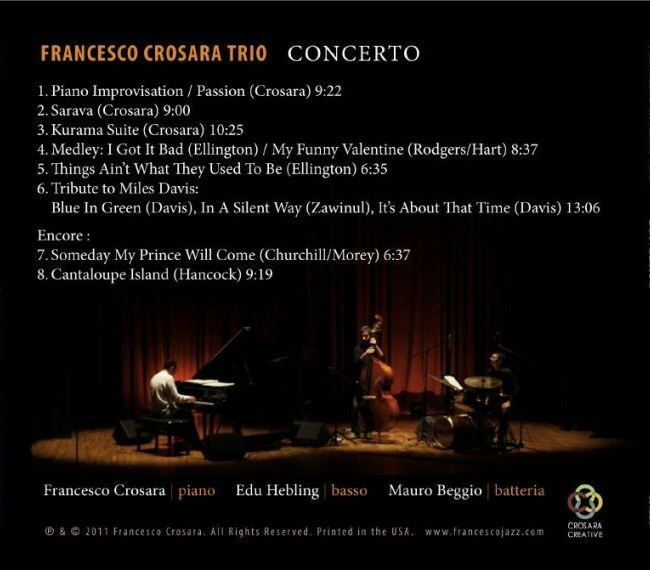 Due to the success of this concert, Francesco Crosara was quickly booked to return to Japan to play in five cities. He plans to add a fourth member to his group who specializes in Tibetan percussion. “I want to continue exploring different ethnic musical concepts, bringing those into jazz, and creating original music that inspires me.” The performances on Kurama represent Francesco’s most spirited and satisfying recording to date. Scott Yanow, Jazz Journalist and Author of Ten Books including The Jazz Singers, Trumpet Kings, Jazz On Film and Jazz On Record 1917-76. 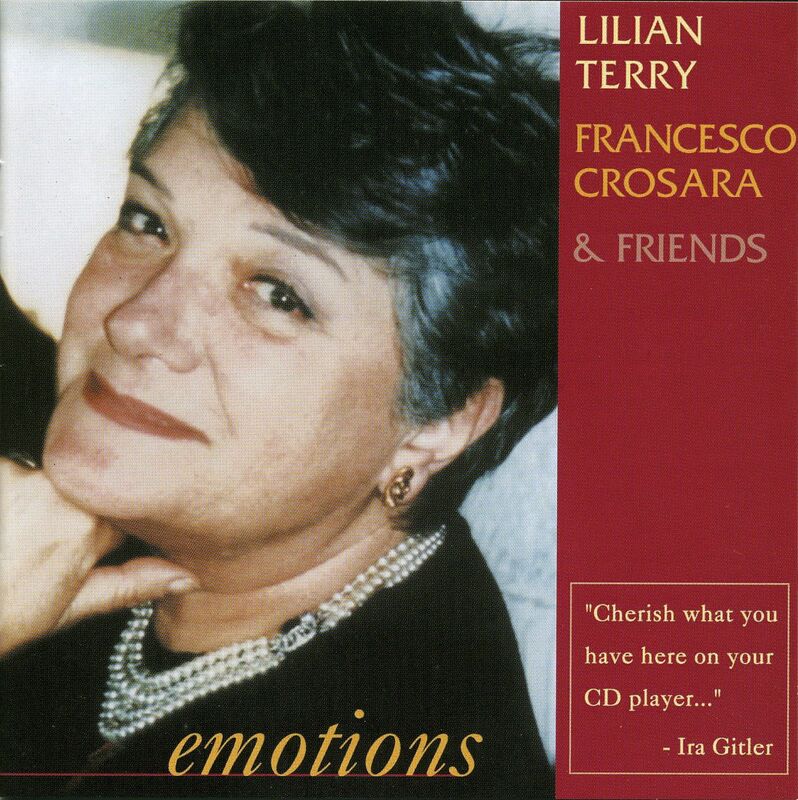 Recorded in Chicago, features Lilian Terry on vocals in a multi-lingual repertoire of songs interpreted in English, French, Brazilian, and Arabic. 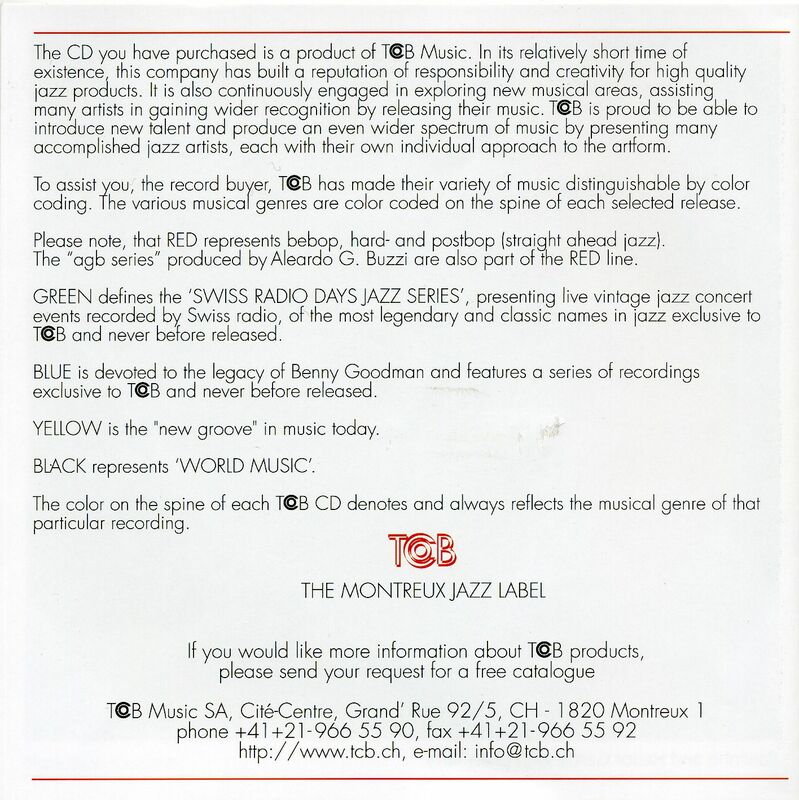 The album features a diverse international group including Von Freeman on tenor sax, Dave Marr on bass, Rusty Jones on drums, Paulinho Garcia on guitar and vocals, Heitor Garcia on percussions, Adel Fadel on violin, Edward Hanna on tabla. Horn section: Lynn Colwell, Bruce Knepper, Ned Boyd. Francesco’s debut album. Recorded in Honolulu, Hawaii, features Miles Jackson on bass, Eric Kurtz on drums, Mike Muldoon on percussion, and a duet with Lilian Terry (Lover Man, recorded live). 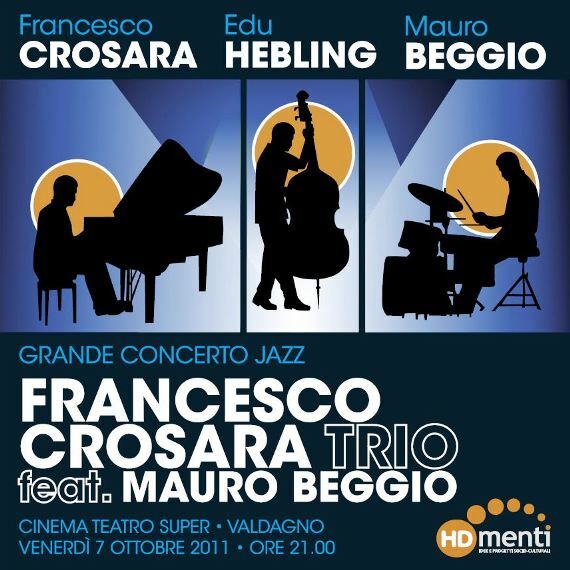 Live trio performance at the Teatro Super, Valdagno, Italy, October 7, 2011. 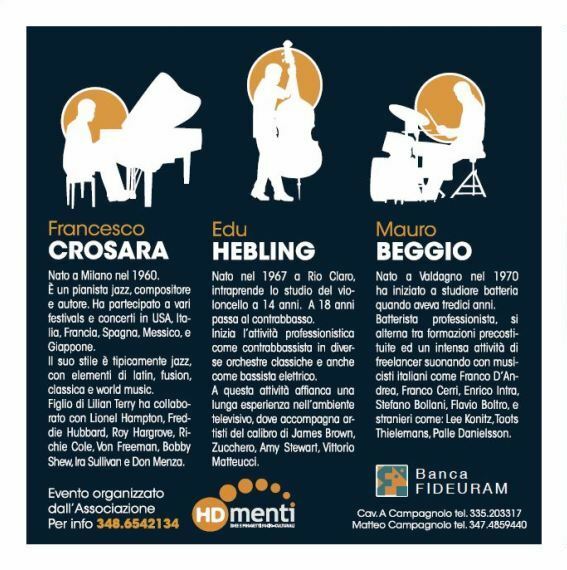 Featuring: Francesco Crosara (piano), Edu Hebling (bass), Mauro Beggio (drums). Music compilation presented by Shalestone Music. Performances from 20 artists participating in the Kansai Music Conference festival event in September 2009.